Recommendation: Make sure your browser is up-to-date. Internet Explorer and older browsers may need Flash to be enabled. Clear your browser's cache, refresh the page, or use incognito browsing to avoid cached errors. If you encounter issues not described above or if the recommended solutions do not work, contact us. Don't have a UTORid? Request an account or log in with MyMedia credentials by clicking the red button on homepage. There are many desktop software tools for media creation, and you can upload a wide variety of media file formats to MyMedia. TechSmith Snagit is a desktop tool currently licensed for the university community. It is replacing TechSmith Relay and Fuse on December 31, 2018. To download Snagit and learn more about its use, visit the Lecture Capture page or email q.help@utoronto.ca. When creating videos for public viewing, the requirements of the Accessibility for Ontarians with Disabilities Act (AODA) must be met. The video must be accompanied by captions and a transcript detailing additional information (e.g. actions, scene changes) along with the captions. You can upload a caption file in VTT format along with your video and use the description field to add additional information. To upload a media file, log into your MyMedia account, click on the “Upload Media” button and navigate to the file you want to upload. You will receive a confirmation email shortly after your media has successfuly encoded with a link for final processing. Please finish processing your media after it has been encoded by either clicking the link in the email, or logging back into MyMedia. You will be able to set access permissions for your media making it either publicly available or restricted to users having a valid UTORid. 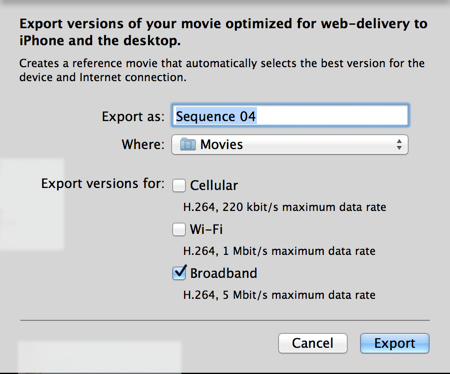 There are also options for making your media downloadable to end users. Upon saving, you will have a permanent play link and embed code for redistribution on other web pages, such as BlackBoard. Please note that students are limited to 40 files; there are no file size restriction. If you are an instructor planning to accept multiple student video submissions via MyMedia, please advise us on the timelines as it may affect processing times. If you have any questions or problems, please contact Information Commons Help Desk at help.desk@utoronto.ca. 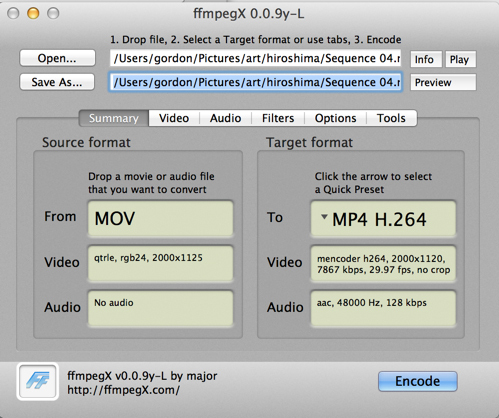 You may want to compress your video files prior to upload to reduce file size. To make your MyMedia files available to students via BlackBoard, you can either provide a link to the media or embed it directly in the course shell. File management options become available to you once your media has been encoded. You can access the menu by either clicking the link in the email, or logging into your MyMedia account. In your media collection click “Manage” button to change the title and description of your media as well as access permissions and viewing options. You can also upload a different thumbnail or caption file. You can also remove your media from the media collection by clicking “Delete”. All files uploaded to MyMedia are stored locally on the University of Toronto Libraries servers. If you are using external streaming platforms such as YouTube, Microsoft Stream, etc. and would like for your media to be preserved and accessible long-term, get in touch with us. Please note that MyMedia, YouTube, Microsoft Stream and other streaming platforms usually convert and compress your original media for web streaming. If you would like for the original master to be preserved, get in touch with us. If you need help with TechSmith Snagit lecture capture software visit the Lecture Capture page or email q.help@utoronto.ca. Join the MyMedia Mailing List to stay on top of our news and upgrade announcements, and to participate in user groups for future development. We always welcome your feedback and suggestions on new features you would like to see. The listserv also allows you to ask and respond to questions of fellow MyMedia users and to access the archive of earlier discussions.